From late 2010 to the present day, the Arab world has been shot through with insurrection and revolt. As a result, Tunisia is now seen as the unlikely birthplace and exemplar of the process of democratisation long overdue in the Arab world. 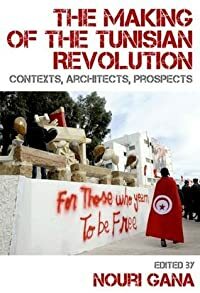 Mixing political, historical, economic, social and cultural analyses and approaches, these essays reflect on the local, regional and transnational dynamics together with the long and short term factors that, when combined, set in motion the Tunisian revolution and the Arab uprisings. Above all, the book maps the intertwined genealogies of cultural dissent that have contributed to the mobilisation of protesters and to the sustenance of protests between 17 December 2010 and 14 January 2011, and beyond.